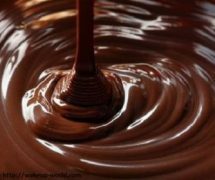 Home » News & Views » Things To Do » It’s National Chocolate Week! Snickers. Toffee Crisp. Boost. Lion Bar. Mars. Maltesers. Kinder Bueno. We all have our favourites and we all like to chow down on one now and then, unless of course, you’re allergic – which is a bit gutting – or you don’t like chocolate – which is like saying you don’t like finding a forgotten fiver in your pocket. Chocolate Week also celebrates the next great chocolate flavour and this summer, Thorntons asked the Great British nation – yes, you, me and everyone else who chills out on this pretty big island – to help them find the next awesome flavour. And all inspired by the regions of Britain. Following a public vote, the winning entry was created by Sandra Moran from Windsor and it’s called Eton Mess: white chocolate crammed with strawberries and pieces of meringue. I can’t really imagine what that tastes like, apart from white chocolate, strawberries and meringue, so I’m gonna have to taste it to spark up my tastebuds. Excuses, excuses. There were loads of entries from all over Britain, though, and here’s a list of the regional winners. Which one tickles your fancy? East – Clemma Tagg from Basildon. Strawberry jammy doughnuts. White chocolate with Tiptree jam and crystalised sugar. East Midlands – Claire Griffiths from Nottingham. Nottinghamshire apple pudding. Smooth milk chocolate with Nottingham Bramley apples. North West – Amy Wollard from Ramsbottom. Amy’s Manchester tart. Milk chocolate infused with maraschino cherry jam, vanilla and coconut. Northern Ireland – Stephanie Curry from Enniskillen. Steph’s Smouldering coffee. Milk chocolate with rich Irish coffee, cream and a hint of Irish Whiskey. North East – Lynne Ellis from Middlesbrough. Lynne’s Lemon and Lime top. Milk chocolate with wafer pieces and lemon and lime flavours to represent the famous ice cream of Redcar. Scotland – Linda King from Perthshire. Cranachan Crunch. Scottish raspberry pieces with heather honey, rolled oats in creamy milk chocolate. South East & London – Sandra Moran from Windsor. Eton Mess. White chocolate crammed with strawberries and pieces of meringue representing the famous Eton College dessert. South West – Debbie Duke from Penzance. Cornish cornucopia. Milk chocolate with Cornish clotted cream fudge with lashings of rum soaked raisins and honeycomb pieces. Wales – Pat Hollingbery from Cardigan. Welsh Wizardy. Thorntons chocolate with crispy toffee waffle pieces flavoured with toffee vodka, based on Anglesey vodka and tregroes waffles. West Midlands – Jane Hawkins from Stoke-on-Trent. Oatcake fudge. Milk chocolate with Staffordshire oatcakes with fudge. Yorkshire and Humberside – Hayley Gamble from Wetherby. Hayley’s Rhubarb Heaven. Milk chocolate with Yorkshire rhubarb and custard flavour. There’s also a lot of tasting events going on, so if you’re up and about this week traipsing the roads of our grey country then I reckon you should click here to see what sort of events are going on and where. If you also visit the Chocolate Week website, there’s cool recipes on there that you can use to show your prowess in the kitchen. I can just about cook smiley faces but if you’re a dab-hand, why not give it a go and send Wicid some samples? It’d be a nice gesture all round. So, what I’m saying is, it’s National Chocolate Week so enjoy it. Make the most of the stuff because you never know when chocolatiers or chocolate-makers will go on strike. They can be a sensitive bunch. 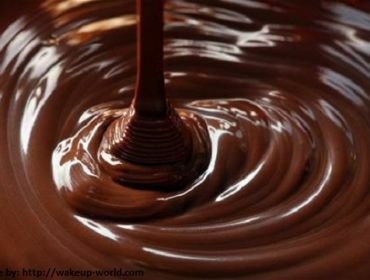 And here’s a fact to end on, chocolate was first made three to four thousand years ago. That’s older than The Queen. Well, nearly. Review: Mess Up The Mess Presents: Click, At The Muni.